Racking Safety Inspections, Do You Know YOUR Responsibilities? Do you know YOUR responsibilities? regularly publish technical information in the form of Codes of Practice and Guidelines for the manufacturing, installation and inspection of racking. 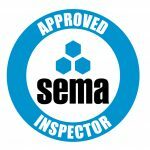 Stakapal’s complete range is produced in accordance with the SEMA Quality Assessment Scheme which ensures independent checking of all design procedures and methods. is the only national programme for installers which addresses the Health and Safety needs of the industry. 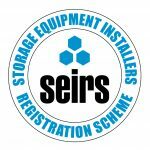 All Stakapal installation teams have appropriate SEIRS qualifications and carry a unique SEIRS identity card that Site Managers, Health & Safety Inspectors, Customers and other officials may verify. REMEMBER IT IS YOUR RESPONSIBILITY! Why store Timber on Cantilever Racks? Have you checked your Pallet Racking for signs of corrosion? Why choose Guided Aisle Cantilever Racking for long lengths of stainless steel?